• 280g reinforced PVC mesh (net), colour white only. This white mesh reduces harmful UV rays and extends the life span of the liner as well as reducing evaporation (water loss) and preventing debris from entering the reservoir and polluting the water. 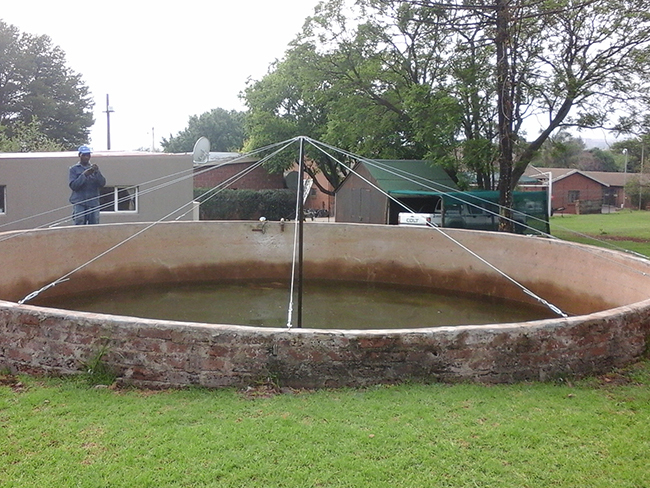 We highly recommend this small additional cost of the PVC mesh cover to extend the life span of the liner. 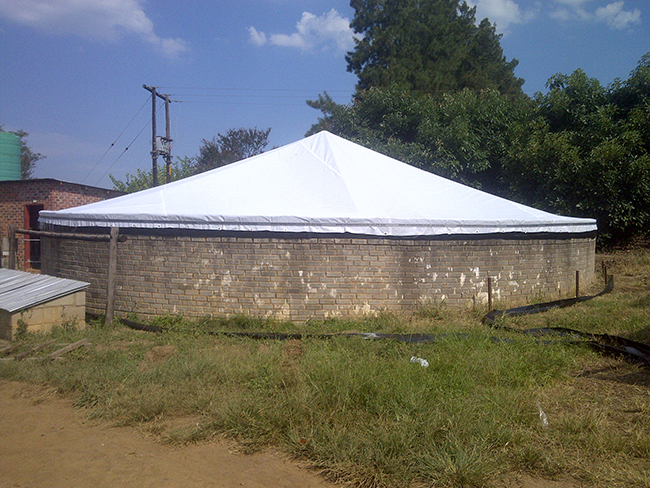 • 550g reinforced tarpaulin, colour black. 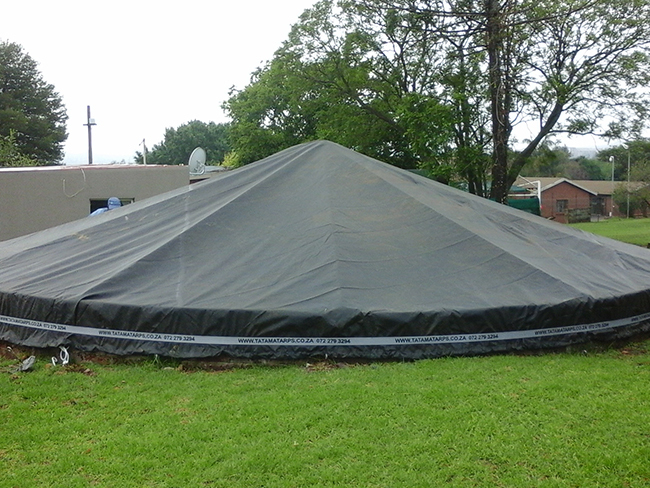 This cover has the added benefit of totally eliminating harmful UV rays penetrating the water, thus totally eliminating algae growth and at the same time significantly extending the life span of the liner, reducing evaporation, preventing debris from entering the reservoir and polluting the water.